There's a new feature in town, or at least at New England Bites. Laura and I would like to showcase a restaurant or shop that's known for having a signature item. Something they're known for. Something everyone goes there for. It can be as elegant as a fancy meal or as simple as a great hot dog or an amazing cupcake. When you hear the name of this place someone will invariably say, "Oh you have to try their _____." We're hunting for the "_____." 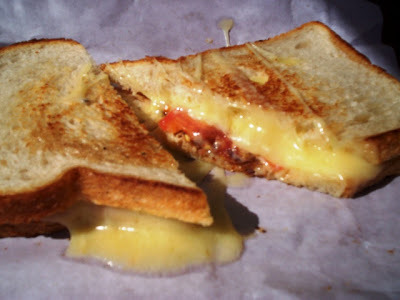 This week we were on the hunt for a great grilled cheese sandwich. 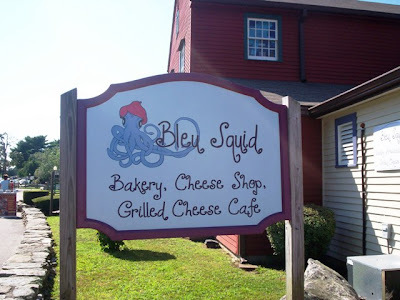 I was the one (because of my superior brainpower and empty tummy) who thought of going to Bleu Squid, a terrific little bakery and cheese shop. They are known to have fabulous gourmet grilled cheese sandwiches baked on their own fresh bread and filled with a combination of cheeses from their large selection. We've been to Bleu Squid before (click here and here) but only to try their amazing cupcakes and bakery items. The only downside to our visit - Bleu Squid is in Mystic, CT, which is over an hour and ten minutes away. Would people think we were crazy to drive that far for grilled cheese? Yes. Did we do it? Well, here I am writing the review! Jealous yet? These sandwiches were indeed delicious. That particular blend of cheeses was so melty and flavorful and the just baked bread was incredible. There are many more add-ins for you to include like roasted red peppers, caramelized onions, roasted artichokes, sauteed spinach and so much more. 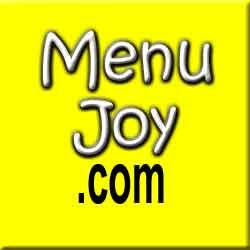 Click onto their website above for all their great menu options. Was it worth the trip? Definitely. It's even worth a trip back. If you're craving a great "grown-up" grilled cheese sandwich, don't break out the Kraft singles and white bread. Take a lovely trip to Mystic. You'll be glad you did!